Includes one of each of Timber Tones' Shell Tones picks: Mussel Shell, Gold MOP, Black MOP, and Freshwater MOP. Packaged in a metal carrying tin. 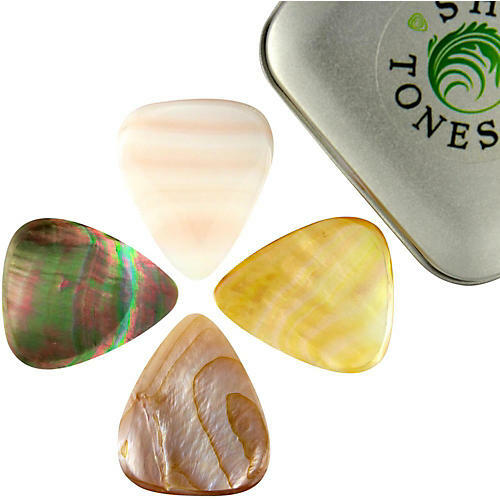 Shell Tones are designed around their classic 351 shape. They are machine ground to a precise perimeter and at 2.5mm thick. A two-sided chamfer is then ground by hand giving a playing tip of 0.7mm thick.